An opening ceremony with the presence of the Mayor of Ohlsdorf, Christine Eisner, a lady devoted to canine sport and all the associations in her city, and Mr Robert Markschläger, Vice-President of the FCI Commission for Utility Dogs and Secretary of the Austrian Kennel Club's Working dogs’ section. Also present at the opening ceremony were the Ohlsdorf band and fire service. It was a great pleasure and honour to take on my function as supervisor and I would particularly like to congratulate and thank the judges, Mr Richard Strauss from Germany and Mr Urs Meyer from Switzerland (in place of Hans Graf, who was sick) for their impartiality during the assessments and for the good atmosphere and mood on the tracking fields. I would also especially like to congratulate Mr Franz Raffelsberger, President of the SVÖ (Austrian Association for German Shepherds) Ohlsdorf OG 58 and in charge of organising the European Open for Tracking Dogs. Franz is also well known as an outstanding organiser of the 2009 IPO World Championships in Schwanenstadt, Austria. I likewise congratulate all the volunteers of SVÖ Ohlsdorf OG 58 on the professionalism demonstrated by them on the tracking fields. Many thanks also to A and B track marshals Wolfgang Fellner and Ernest Riegel, trials directors Günther Grossbötzl and Ronald Scheidleder, as well as the four remarkable scent layers, Hermann Rauscher, Christian Kohlbauer, August Neissl and Alfred Wagner, who did all they could to make my work as the supervisor easier. Mr Klen Zvonko with Rex Guga D N Deudrienger: 189 points. Mr Franjo Matekovic with Furby t Palmaleinehof: 187 points. Mr Zdravko Klicek with Fajt t Palmaleinehof: 186 points. I also extend my thanks and congratulations to all the competitors for their sporting behaviour throughout the European Championships. And very well done to the organisers for the great gala evening, the good food and music, the wonderful atmosphere during the evening, as well as the presence of political personalities and the attendance of the Hunting Master and farmers who made the tracking fields available to us. In the absence of the President of the FCI Commission for Utility Dogs, Mr Frans Jansen, I had the pleasure and the honour to represent the FCI Commission for Utility Dogs for the various addresses during the event. On the Sunday evening during the presentation ceremony, we had the pleasure to welcome the presence of the Mayor of Ohlsdorf, Christine Eisner, and her Deputy Mayors, Alexandre Ortner and Johann Halbmaier, as well as the Vice-President of the Upper Austrian Association for German Shepherds, Josef Schallegruber. The ceremony was very much enhanced by the contribution of the Ohlsdorf band and fire service during the presentation of the awards. And all this under the snow. 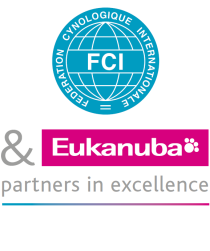 We look forward to the next FCI European Open for Tracking Dogs to be held in Italy in 2013.